I’m not sure if it’s just me or if parents are not giving their kids an allowance anymore. It seems these days that the overwhelming majority of kids don’t get regular spending money from their parents. Instead, they seem to just be bought the things they want, or given them on birthdays or holidays. It’s a shame because giving your kids an allowance is probably the best thing you can do at a young age to give them an education about money. This is a topic that is sorely lacking in the public school system, and even in many private school curriculums. If your child is going to learn about money, it’s going to be from you. I can’t stress enough that giving your children an allowance is a great thing to do. If you do give your kids an allowance, good for you! You’re one step closer to having money-smart kids who will grow into financially secure adults… you know, the sort that don’t call every month asking to borrow money to make rent. Your kids have a better chance at becoming independent because you’ve stuck to a regular allowance. It is a promising first step. The next step, however, is making sure you’re doing it the most effective way. Wouldn’t it be nice if money came out of thin air for everyone? For some of us, we learned this too late. Don’t doom your kids to that fate. Teach them at a young age that money comes from hard work, and rarely does it come from anywhere else. Give them a few chores, while being careful to remember that they are still children and perhaps reshingling the roof isn’t the best “chore” for them. If they do their chores as expected, every week, you hand over the money they have rightfully earned. With it comes a sense of accomplishment and good habits are being formed. Things like putting their dishes in the dishwasher, or putting their clothes in the laundry basket, or picking up their toys after them. These are all things that should be expected of them with or without pay. One thing that parents often pay their kids for is babysitting their siblings. Is this really something that should be rewarded, or should family just be expected to take care of family without the promise of a twenty dollar bill? No, give your kids chores like cleaning the bathroom or taking out the trash. Pay them for weeding or doing the laundry. Don’t pay them for things they should be doing just to meet the basic requirements of being a contributing member to the household. They’re not going to get paid for cleaning up after themselves when they’re older, so why teach them to expect that now? You remember when you were seven years old, way back in the pre-internet days, asking mom and dad for another quarter to play the pinball machine at the mall? Mom would always wag her finger while repeating the same old mantra, “money doesn’t grow on trees, you know!”. Barely into your adulthood, the reality that mom was right smacked you in the face like Mike Tyson’s left. Giving your babies too much money might take away the opportunity they have to learn how to budget and save. The amount of money you give your kids needs to be a motivating amount. If it’s too little, they won’t care if they earn it or not, because it’s really not enough to do anything with. If they’re old enough to save money, they’re old enough to do it in a savings account. 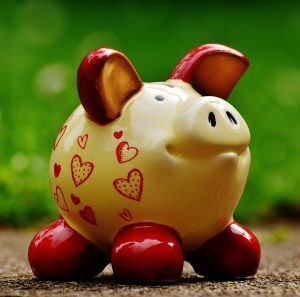 Take your kids to the bank, open them an account and use this opportunity to teach them about banking, saving and interest. Teaching your kids about money isn’t all that hard, if you’re consistent, fair and expect them to give as much as they get. We all have that urge to spoil our kids, pouring gifts on them every chance we get. We have to resist this urge and look forward to the excitement of watching our babies grow into savers with good credit and financial independence. Are there any mistakes you’ve seen parents make when giving their kids an allowance? Let us know in the comments!